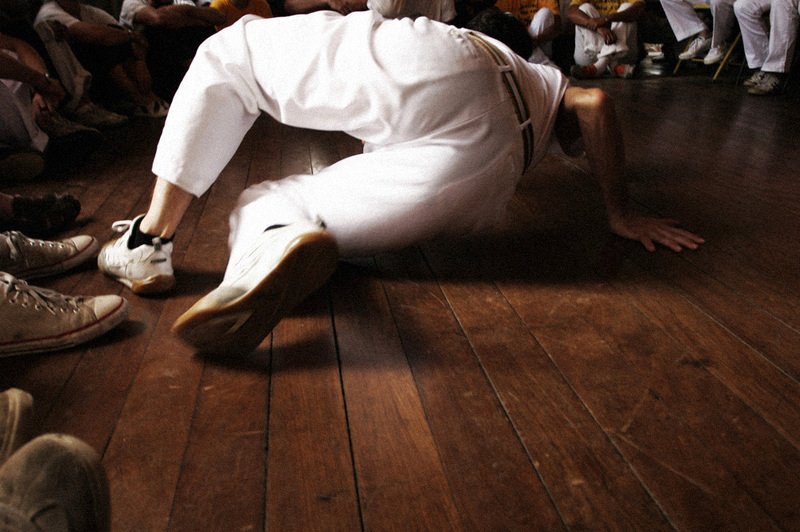 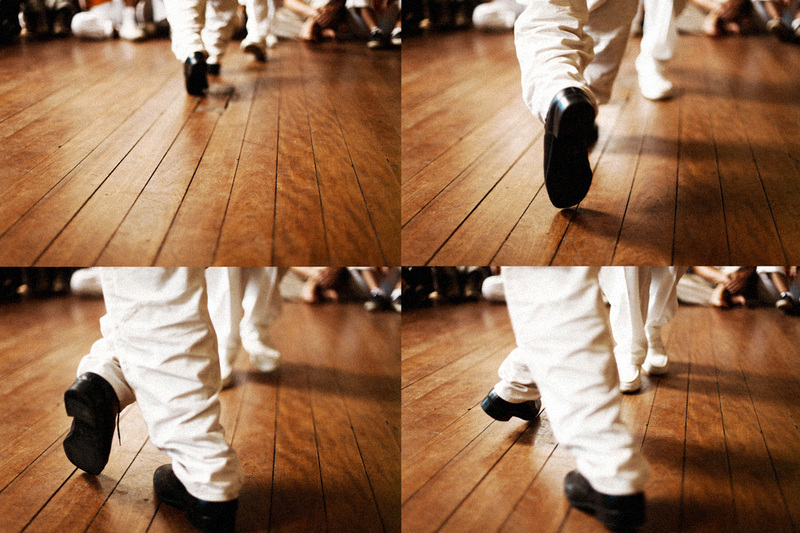 In capoeira, mandinga is a magical act, an illusionism that the body is capable of carrying out. 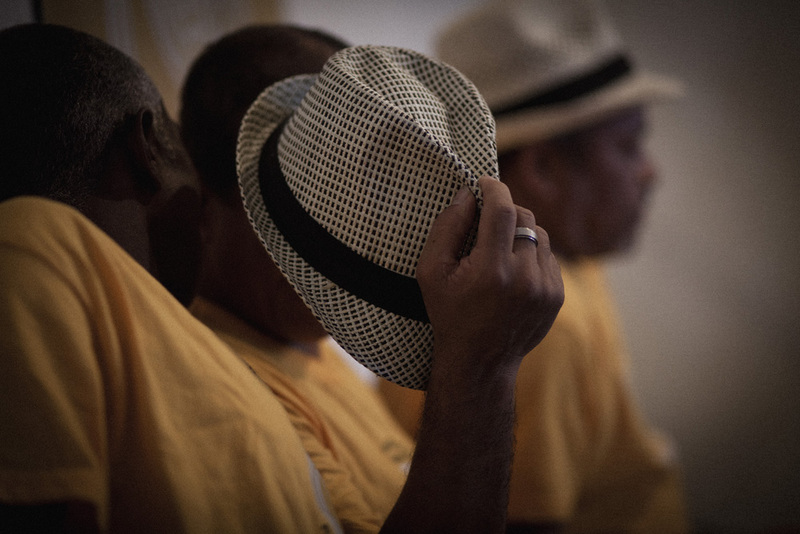 It is thus not a coincidence that Angola capoeira masters are known as mandingueiros. 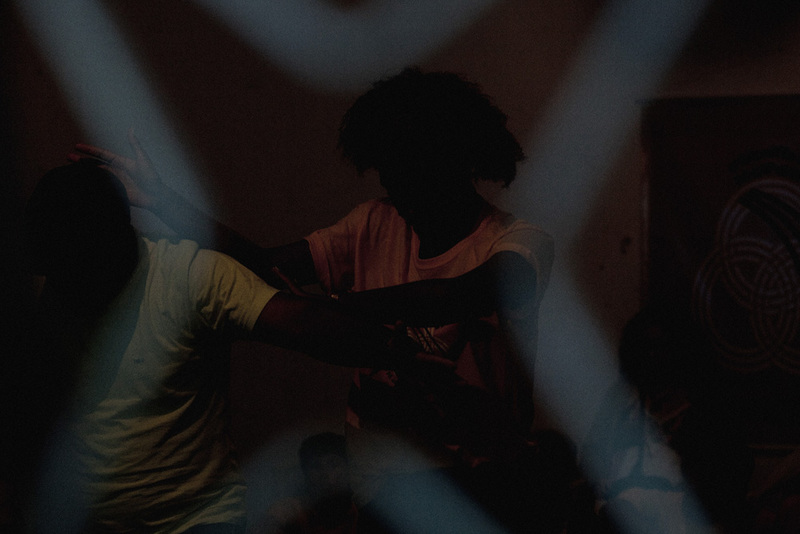 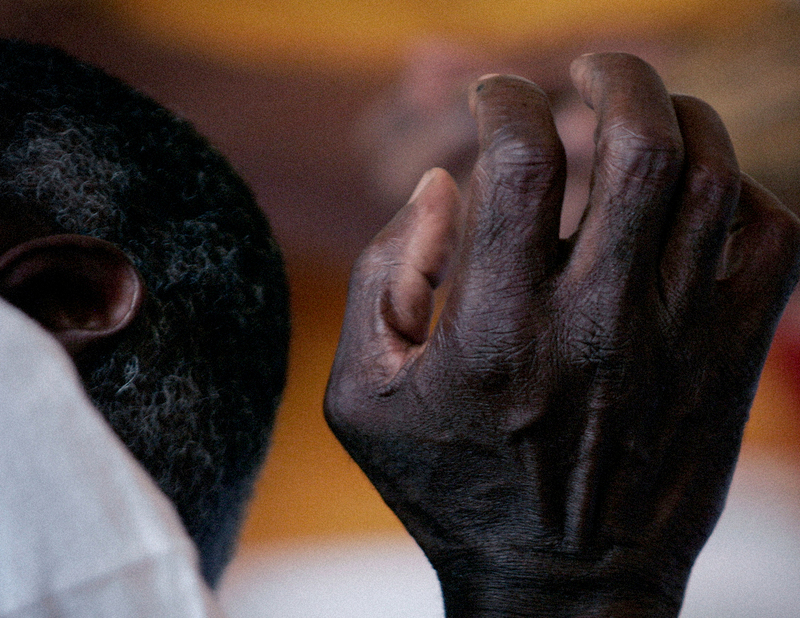 In Bahia, this mix of dance and fight took a playful form that influenced the rest of Brazil. 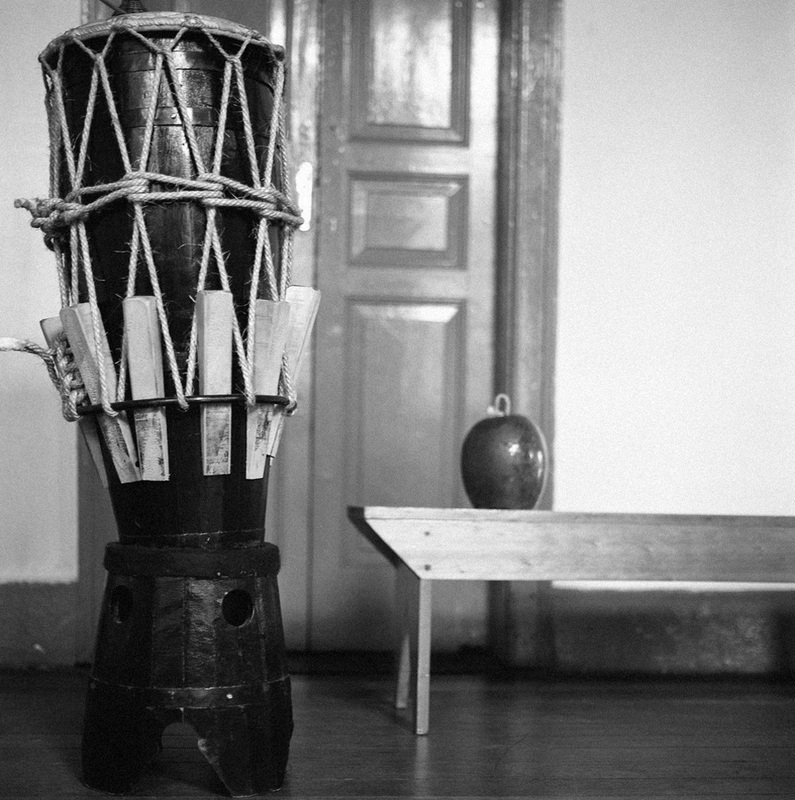 Surrounded by the traps known to be found in crossroads and by the magic of the candomblés, protected by patuás and armed with blades, the former capoeira players, from the capital city of Salvador to the Recôncavo area, would become mythical figures, such as the legendary Besouro Cordão de Ouro. 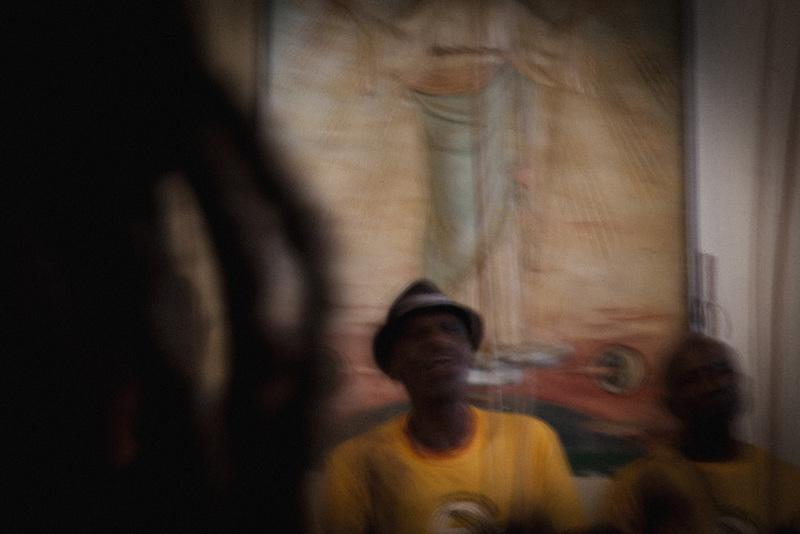 Mandinga is also the name of an ethnical group from the Mali kingdom, believed to be powerful witches. 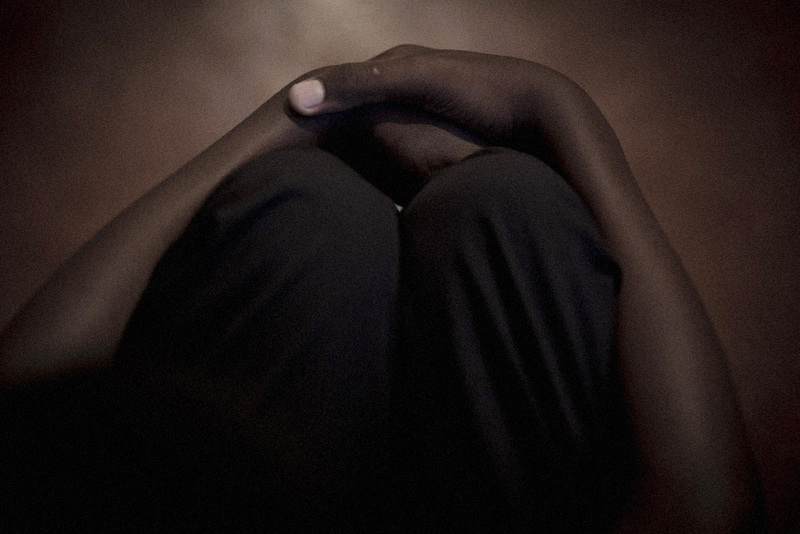 Also known as Malinkas, they converted into Islamism in the 13th century. 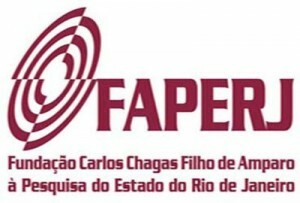 The capoeira players took their name, which appeared in Brazil through a habit disseminated by slaves during the colony times: using protective talismans known as “mandinga bags”. 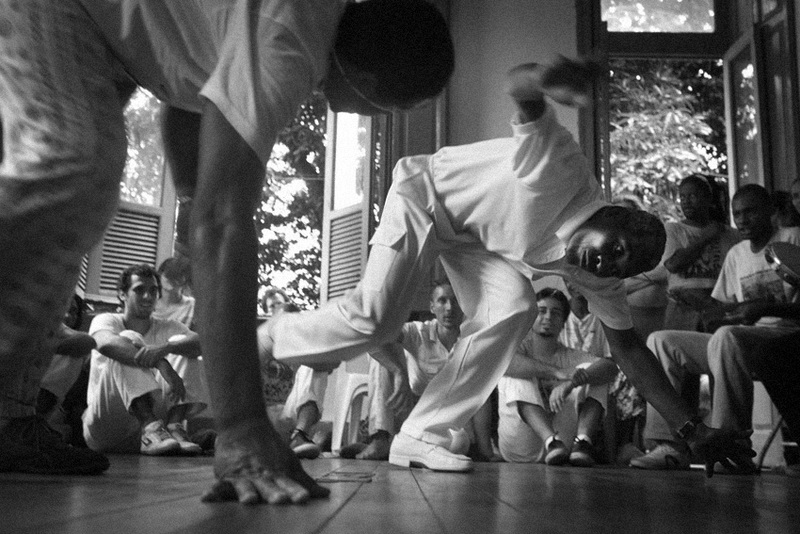 The bags, also called patuás, were used by the old capoeira players to “close the body” against the hazards of the world. 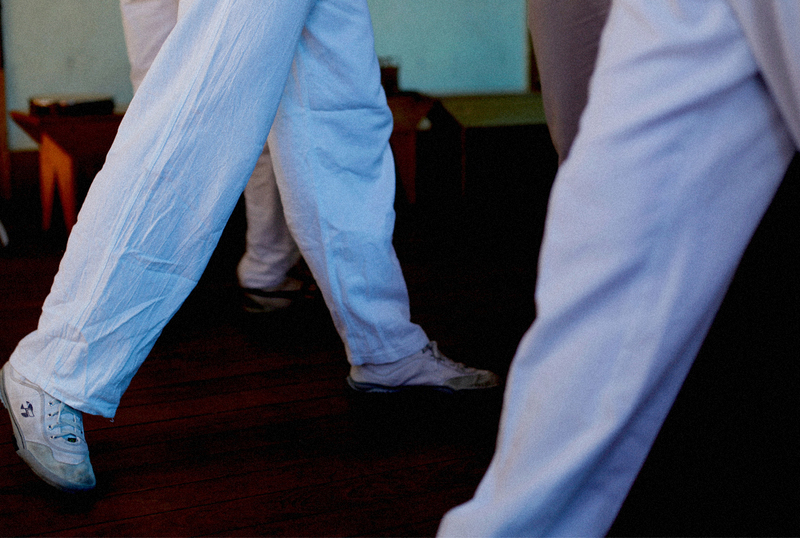 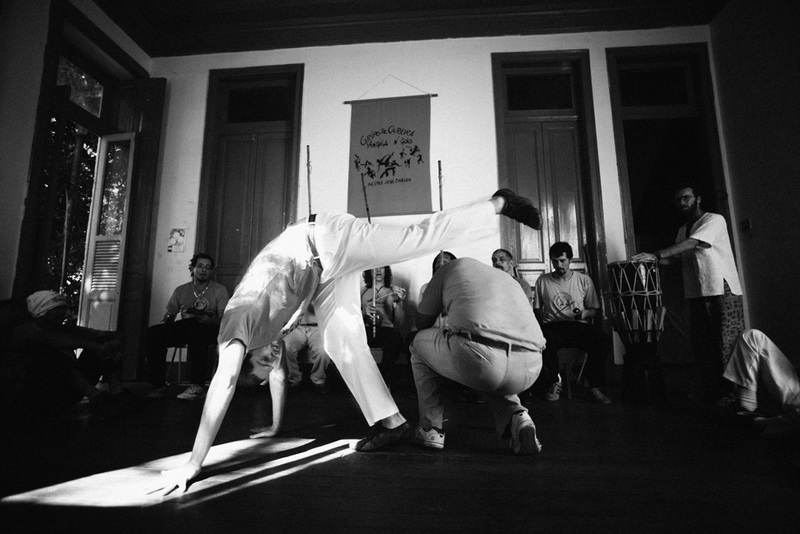 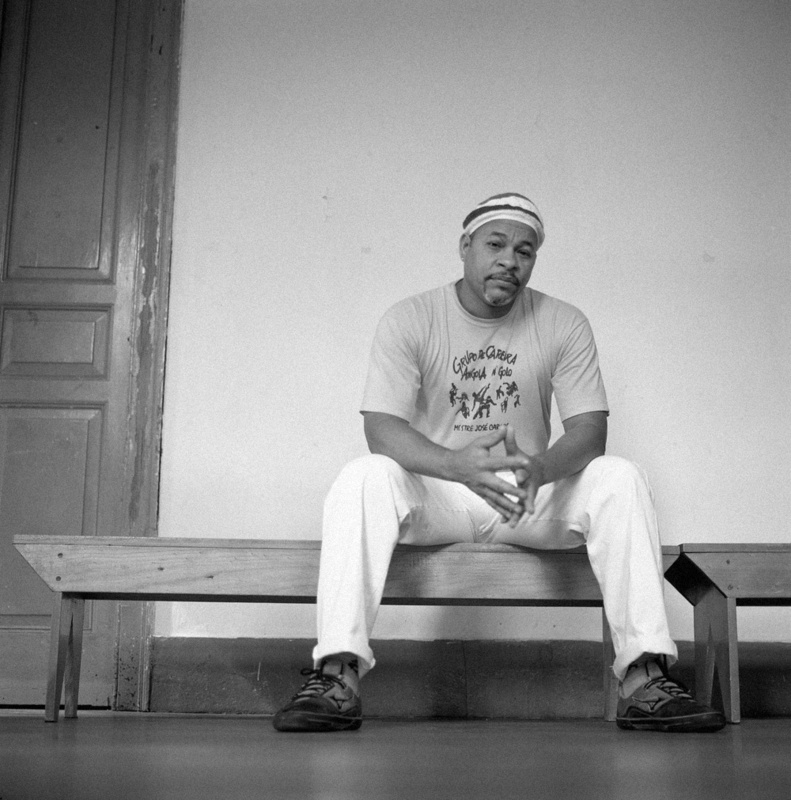 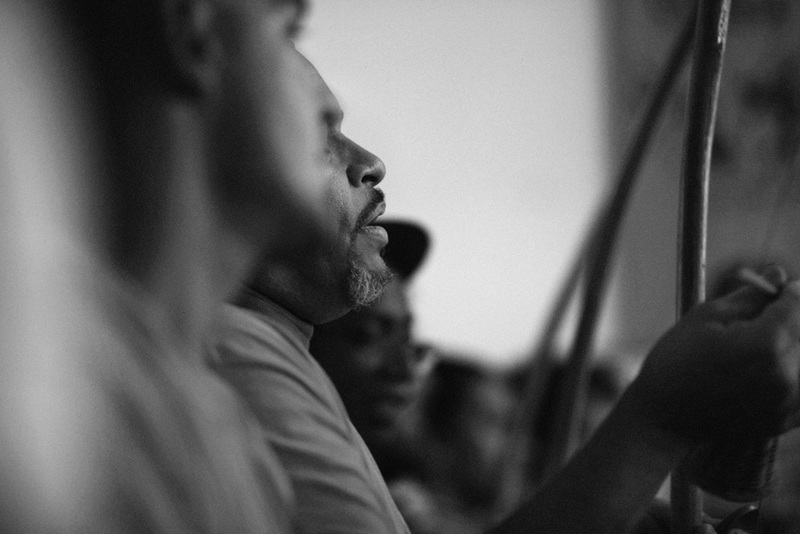 The heritage of the mandingueiro masters survives in contemporary capoeira circles, such as the one that happens every month in Santa Teresa – a historical district of Rio de Janeiro – and is organized by the Angola N´golo Capoeira Group, coordinated by Mestre José Carlos. 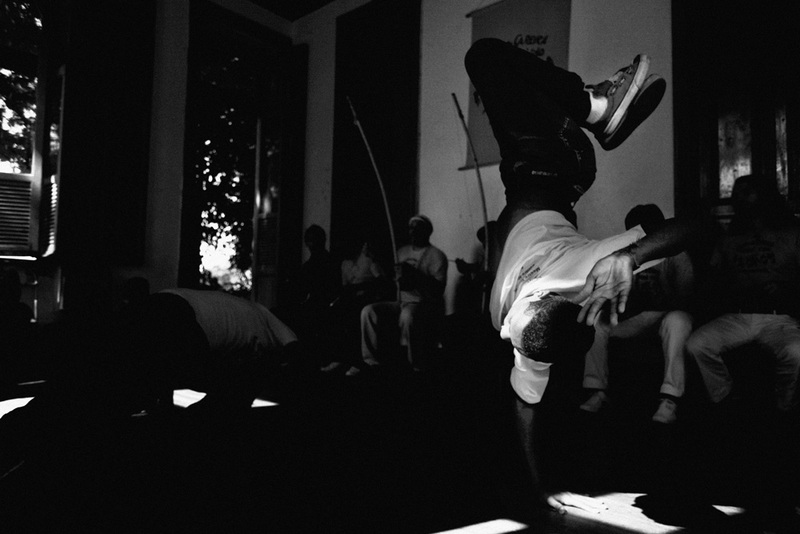 The photographs taken by Eduardo Monteiro, seen here in the “Mandingueiros” exhibition, capture magical moments of these circles, where capoeira players – through gestures, prayers, chants and acrobatic movements – move between the sacred and the profane.